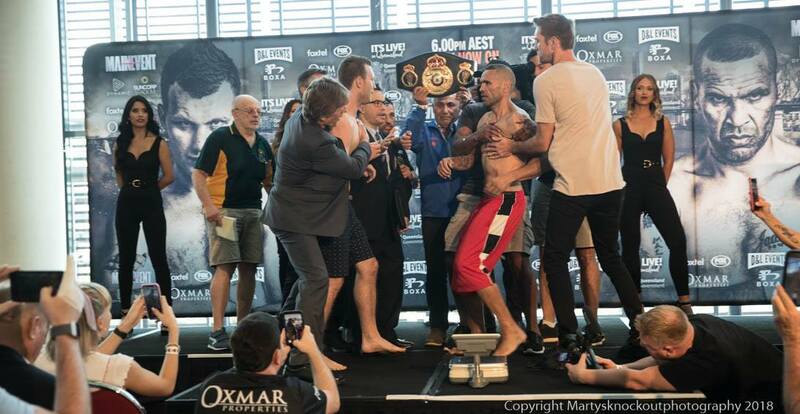 Anthony “The Man” Mundine let his emotions get the better of him at today’s official weigh-in at Suncorp Stadium. 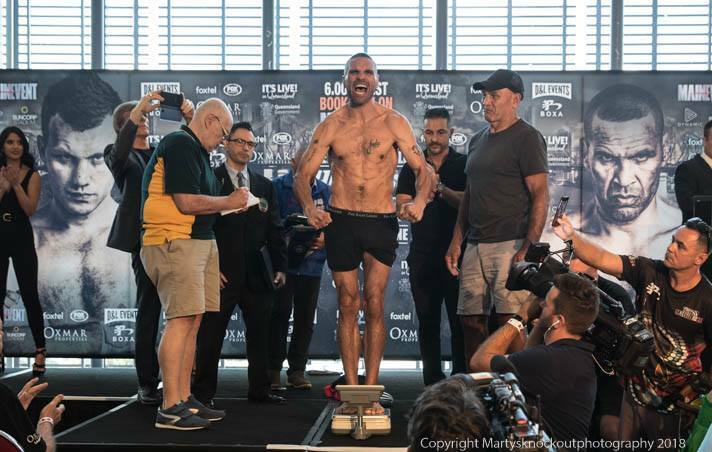 With the catchweight limit agreed at 71.20kgs, Mundine easily came in under weight at 70.25kgs with challenger Jeff “The Hornet” also making weight at 70.55kgs. 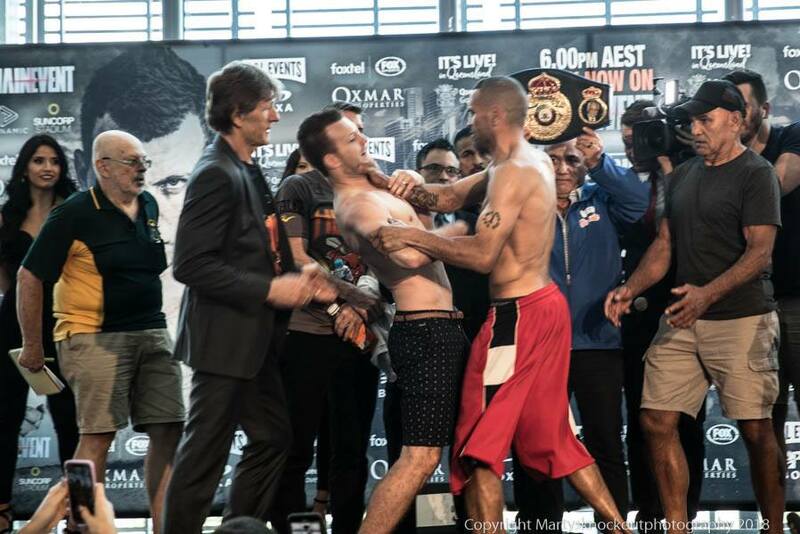 With a few words exchanged during the face-off, Mundine grabbed Horn and pushed him backwards into his manager Glen Rushton. 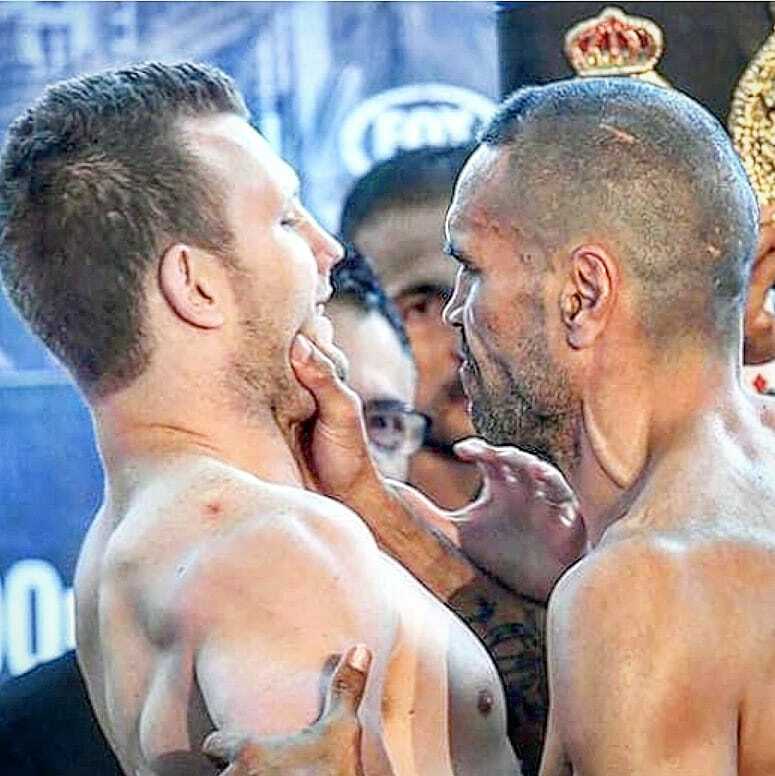 When the dust settled, MCee Ben Damon asked the question…what was all that about ? 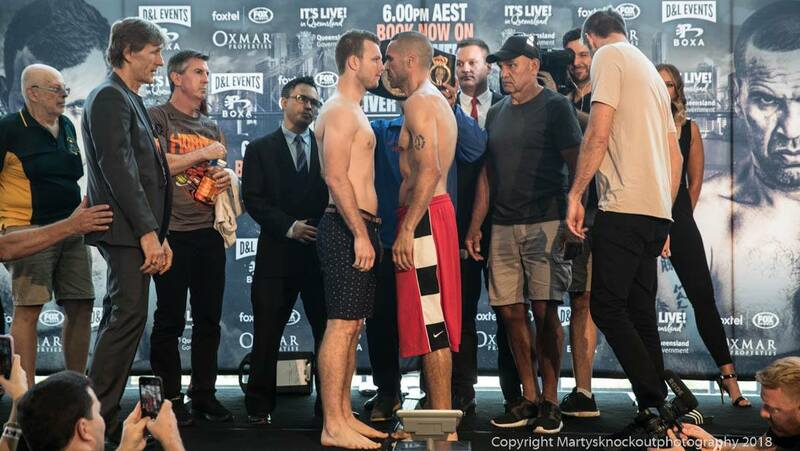 With the weigh-in times changed from 6pm to 2pm then finally 1pm, Mundine’s reply was he had enough of Horn and his camp trying their utmost to get under his skin. 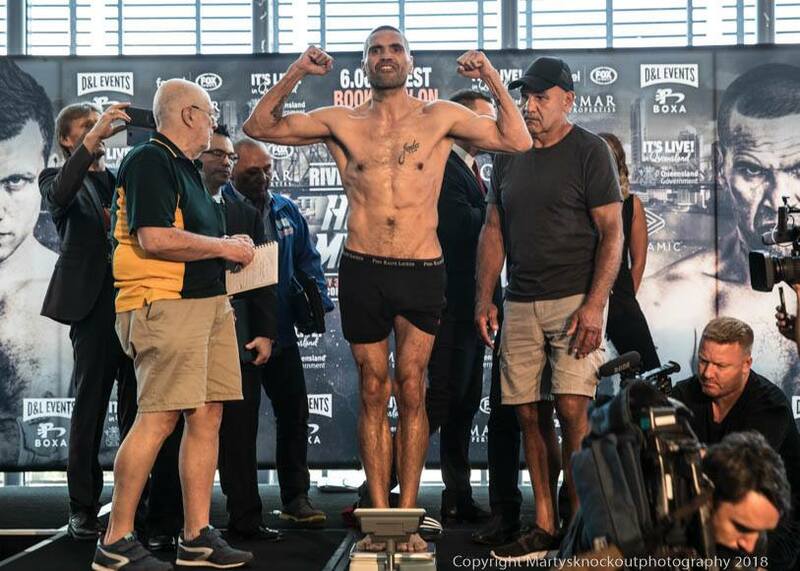 One more final weigh-in has been set 2 hrs before fight time which both fighters have to come in under 75kgs. 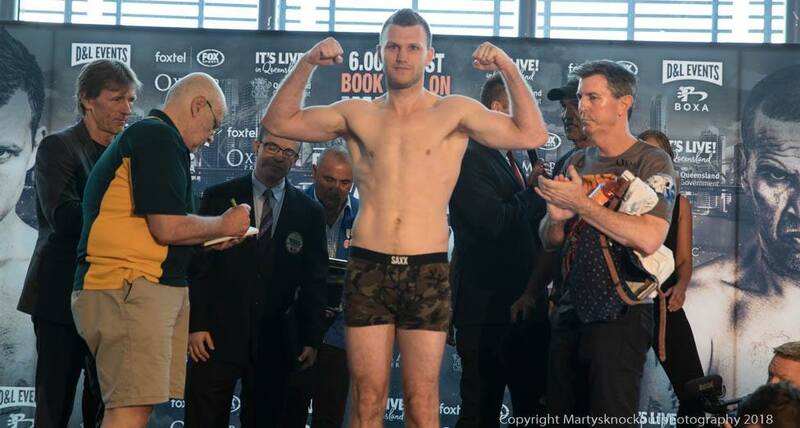 Its a very unusual situation where another weigh-in is done on the day of the fight but with this written into the contract, its designed so other fighter is disadvantaged by big 24hr weight gain. 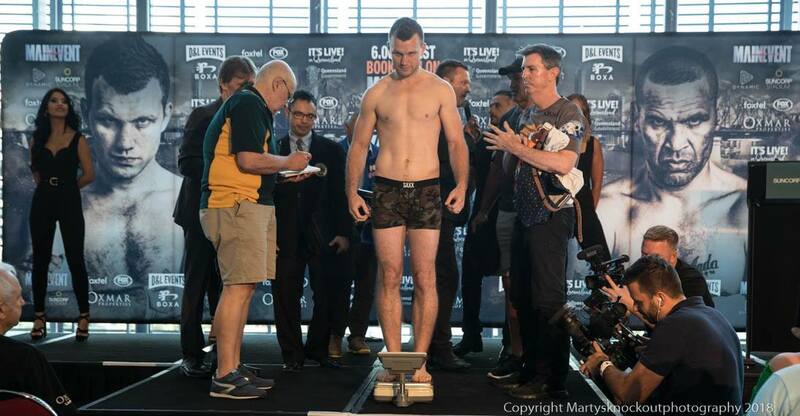 Severe financial penalties will be imposed whoever is over the contracted 75kg limit with the money going to the other camp. 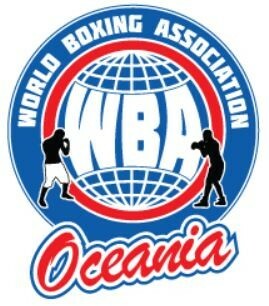 Now, BRING IT ON…..